Compliance Sheriff is an enterprise automated testing tool developed by Cyxtera used to assist in testing webpages against accessibility standards. Compliance Sheriff is used throughout the CSU and within the CSUN campus, all colleges and divisions have a selected compliance sheriff coordinator responsible for conducting evaluations on their college or division websites. Campus Compliance Sheriff coordinators have access to the server via their college or division's user name and password. 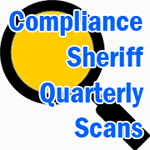 If you are interested in evaluating your product/service using Compliance Sheriff, please contact your Compliance Shift Coordinator to set up a scan. 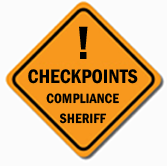 For more information and comprehensive user guide please visit Compliance Sheriff resources below.